I love the idea of having a place to keep track of all the goals I have floating around in my head which is why I love these monthly goal posts people do and wanted to jump on the bandwagon. I also love reading others so I can get some inspiration but it's always interesting to see what other people are challenging themselves to accomplish this month as well. I know if I make too many large goals for myself I will ultimately become overwhelmed and not succeed so I've learned it's better to set smaller goals in order to accomplish bigger ones sometimes. Some of my goals will also be repeaters as well since I'm a creature of habit and often have a hard time making lasting changes in my life like establishing enough self control to not eat the leftover Twix bars, which aren't even my favorite, from Halloween. So, here are some goals I'd like to work on and hope to accomplish this month! I am so super jealous of you Americans getting Black Friday! I want it over here in the UK ;P You'll have to let me know how it goes - I'm right in thinking It's shops with crazy discounts, isn't it? Damn, I want to go Black Friday shopping so much! You are correct, love! I have never been before this year but I think I'm going to have to make some black friday plans. Gunna require an early wake up, good walking shoes (I've heard the lines are INSANE) and a lot of caffeine. Yes do! It sounds amazing :) And please let me know how it goes, good luck with the lines and crowds! Definitely will let you know haha. & you are soooo sweet!! Thank you so much! These are great goals!! I have done Black Friday shopping before and it can be really fun! We went with intent of not really looking for anything specific. It was super fun!! Oh excellent because I've really only heard horror stories regarding black friday haha but I think I want to do it at least once. & I agree with you, I'm definitely not going into it looking for specifics because I know if I did that, and didn't find what I was looking for, it would take the fun out of it haha. Just lookin' for some good deals! The only plan I have is to wear pajamas while shopping haha. 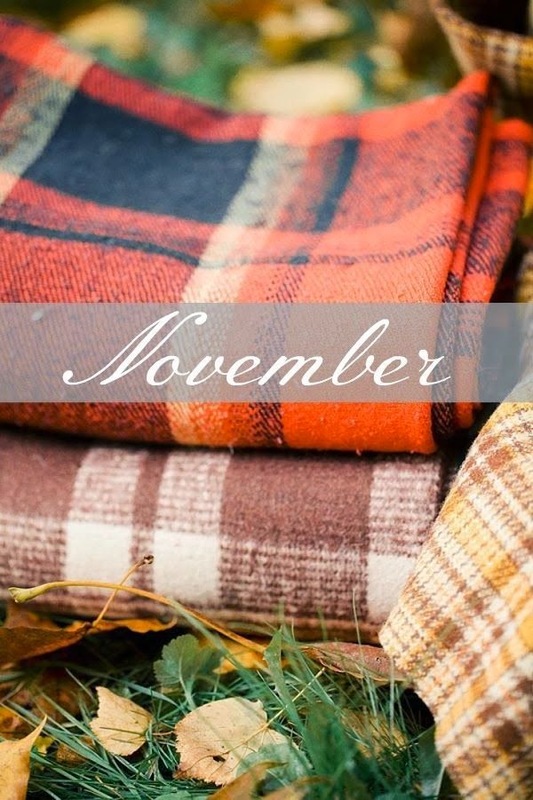 Good luck on your November goals! Sending you the best wishes! !